SINGAPORE, 24 February 2014 – Singapore Changi Airport handled 4.60 million passengers in January 2014, an increase of 6.3% on-year. Air traffic movements grew correspondingly, with a total of 30,400 landings and take-offs recorded during the month, or 7.6% more compared to a year ago. The growth in passenger traffic was supported by a healthy increase in air travel between Singapore and Southeast Asia, Northeast Asia, Southwest Pacific and the Middle East. 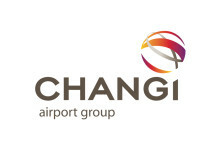 Among Changi’s top country markets, double-digit growth was registered for travel to and from China, Hong Kong, Indonesia, Japan, Malaysia and Vietnam. Travel to Thailand however saw a decline with Bangkok traffic decreasing by a quarter. In terms of airfreight, 151,400 tonnes of cargo were processed at Changi Airport last month, a 3.8% increase year-on-year as air shipments picked up ahead of the Lunar New Year period, which this year occurred 10 days earlier. 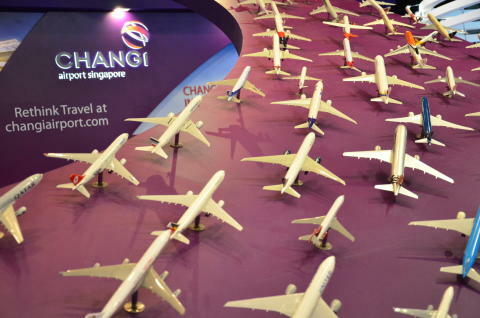 As at 1 February 2014, more than 100 airlines operate at Changi Airport, connecting Singapore to 280 cities in about 60 countries and territories worldwide. With more than 6,900 weekly scheduled flights, an aircraft takes off or lands at Changi roughly once every 90 seconds. New Service – On 24 January, Tigerair launched a new non-stop four times weekly service to Malé, Maldives, a new route for the airline. New Stores – Three new outlets have commenced operations in the public areas of Changi Airport’s terminals. Paris Baguette, renowned for its Royal Pudding, fresh pastries, cakes and bread, has opened its first store in Terminal 2’s Arrival Hall. An extensive range of stationery, as well as English and Chinese books may be found at the new Du Yi Bookshop in Terminal 3’s Basement 2. Travellers looking for a tranquil environment to refresh and relax after their flight are invited to check-in at The Haven in Terminal 3’s Arrival Hall. Over in the transit areas, Terminal 3’s Departure Transit Mall has welcomed three brands. Maison de Chronus presents an exquisite range of watch brands while barbecued meat, a tourist favourite, is available at Fragrance Bak Kwa (香味肉干). Meanwhile, passionate baristas serve up skilfully handcrafted beverages at the 24-hour Costa Coffee outlet.